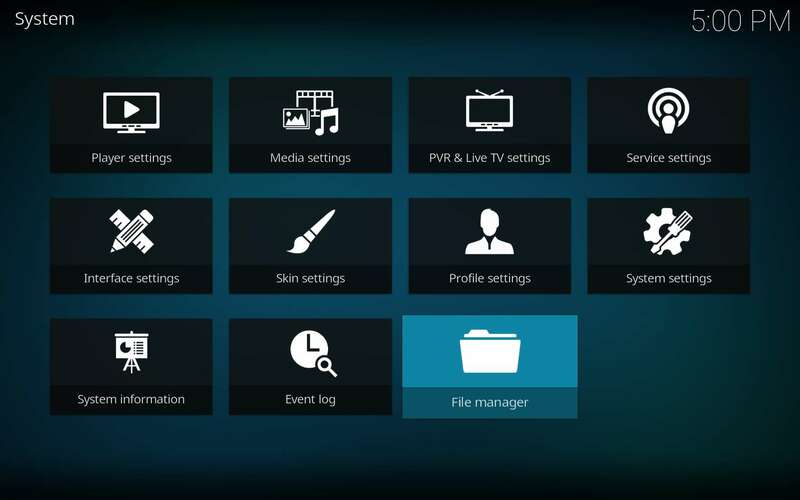 An updated and rebranded version of the popular Zen, the Elysium Kodi TV addon puts smiles on movie and TV show lovers. The wildly popular Noobs and Nerds have picked up Zen and rebranded it as the Elysium Kodi TV addon. With trakt.tv support, Elysium lets you keep track of the episodes and shows you’ve watched, then share watch-lists with your friends. Get the most out of this Kodi TV addon with its Real Debrid integration for more available streams to your favorite shows. 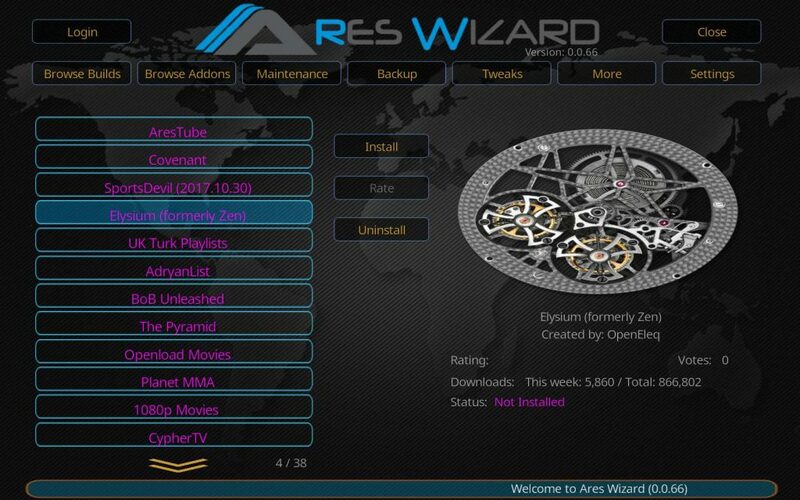 While watching the movies and TV shows available in Elysium, you really should use a top tier VPN for anonymity and privacy. 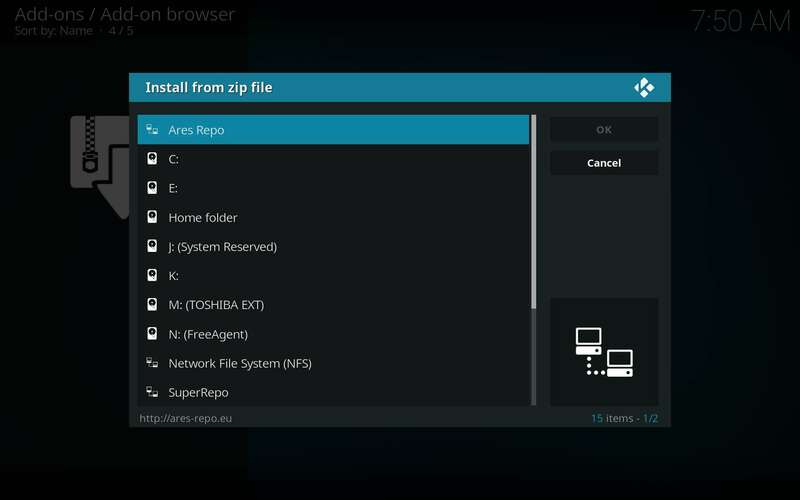 IPVanish has proven the best VPN for Kodi users. 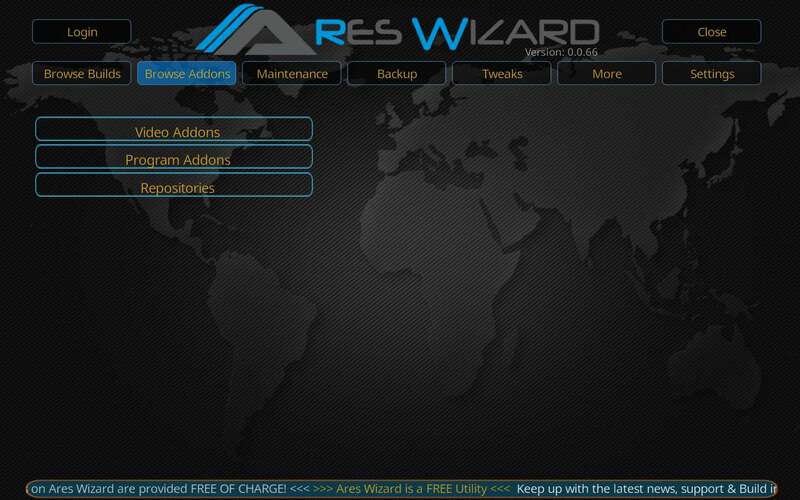 They guarantee your anonymity while using their VPN service. Government agencies and many privately sponsored agencies are really cracking down on online piracy lately. IPVanish also provides the highest speeds available in a VPN with thousands of servers all over the globe. 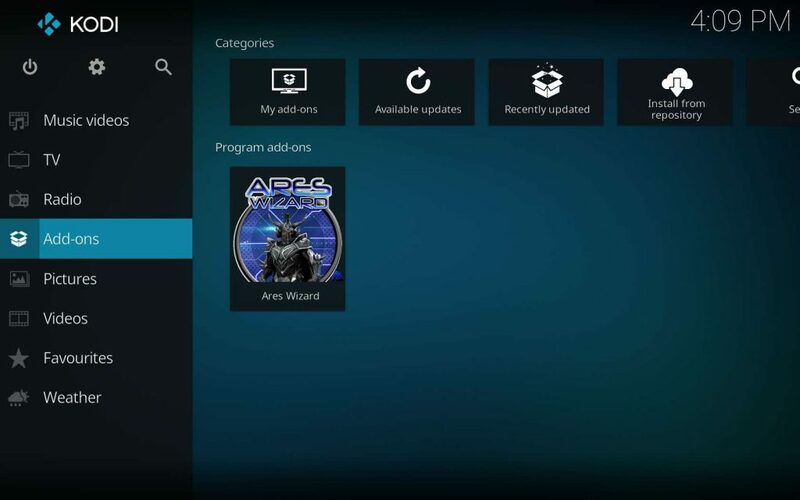 IPVanish even makes free Fire TV and Fire Stick apps as well! 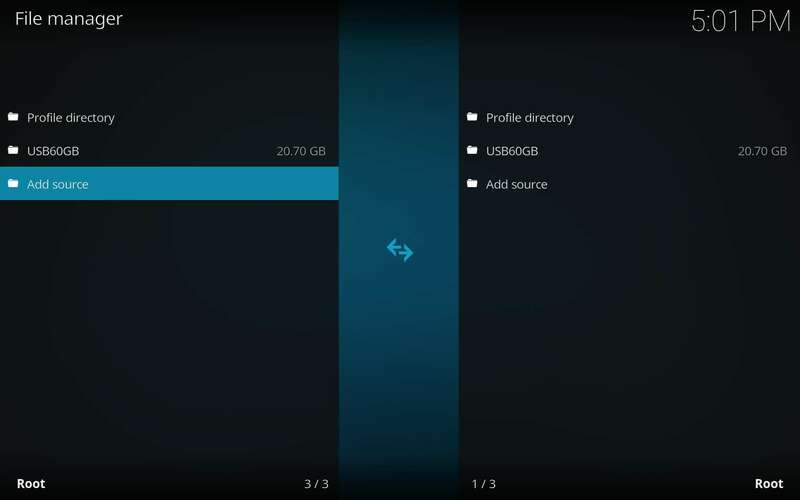 They are very quickly becoming an indespensible VPN for Kodi users. Also, using the links we provide to their service gives you a 60% discount! This makes you invisible online (even browsing from Ashburn, VA) for just $4 and change each month! 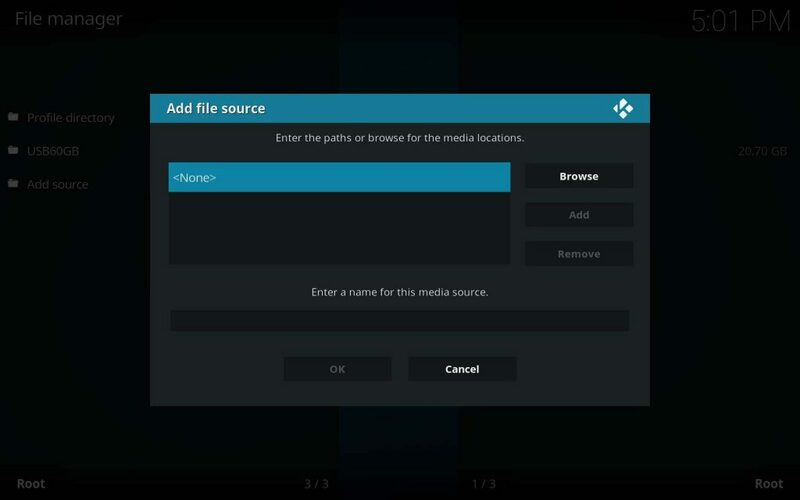 Since the release of Kodi 17 (code name: Krypton), the XBMC / Kodi Foundation requires that you enable the use of Unknown sources directly within Kodi’s settings. Without toggling this setting to allow unofficial TV addons, Kodi makes installing Elysium or even the Ares Wizard impossible. 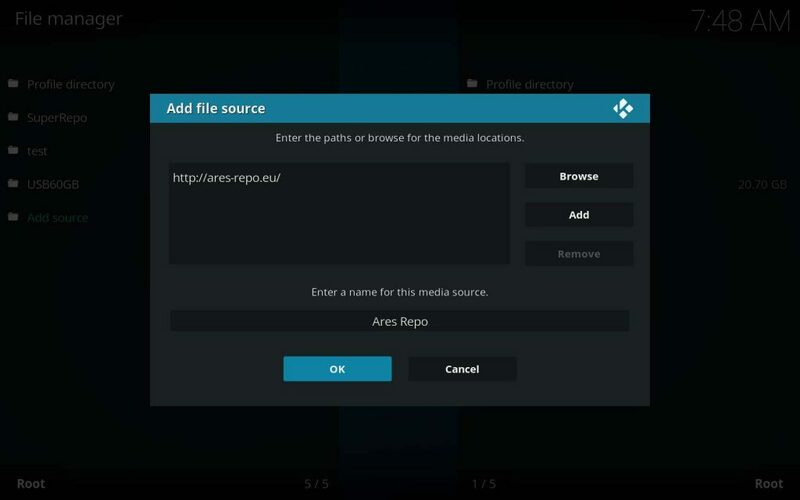 If you don’t know how to do this, follow our very simple and quick guide to Enable Kodi Unknown Sources. I promise we’ll be here when you get back, and it won’t take but a moment. 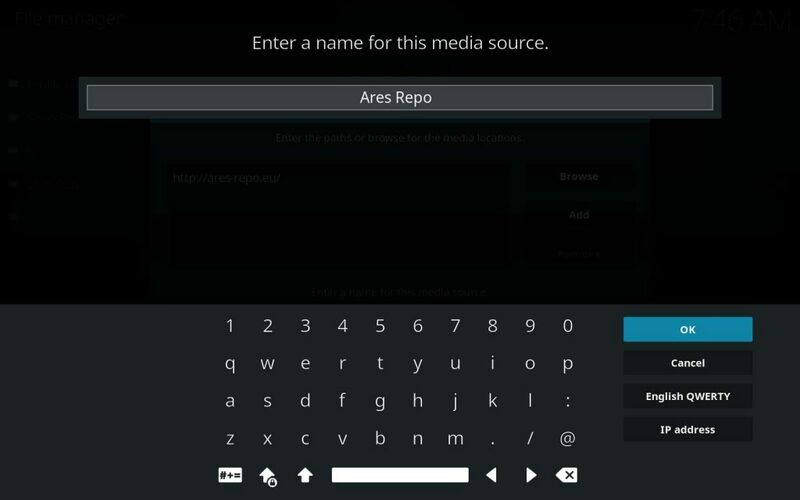 If you follow the video in that article, you’ll also have the Ares Repo installed and ready to go! 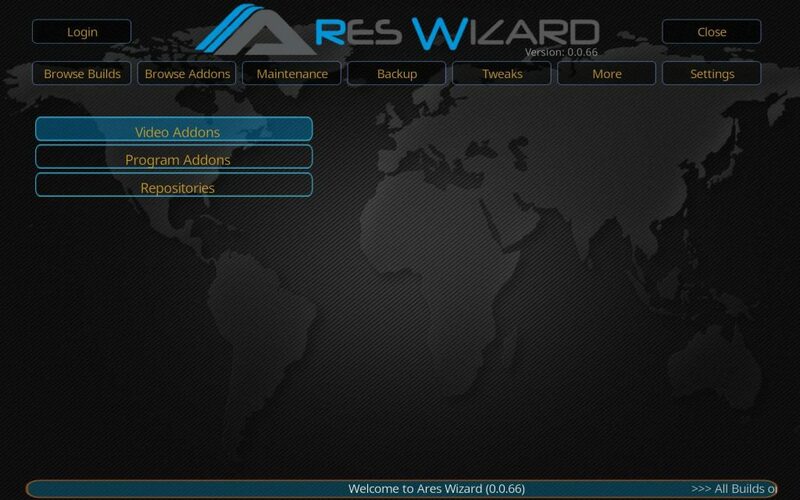 If so, then skip ahead to the Ares Wizard Installation section when you return. 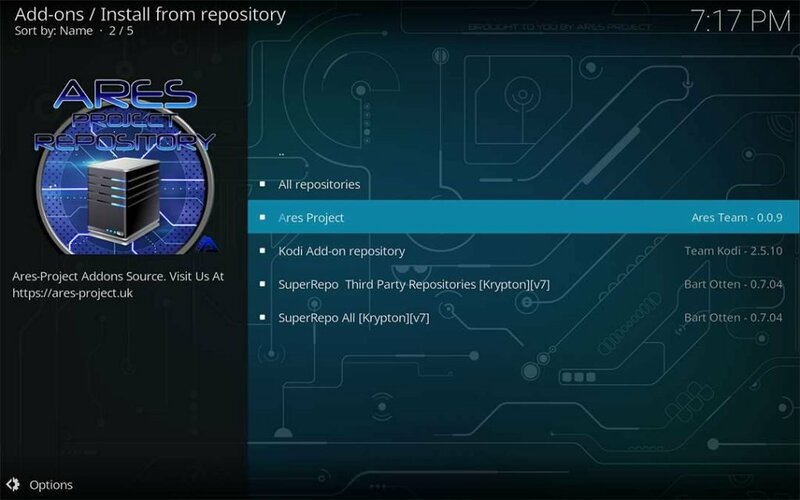 If you’re a seasoned Kodi TV addons installer with repository and wizard experience, then you likely only require the repo source. The Noobs and Nerds repo located at https://noobsandnerds.com/portal/ hosts Elysium. 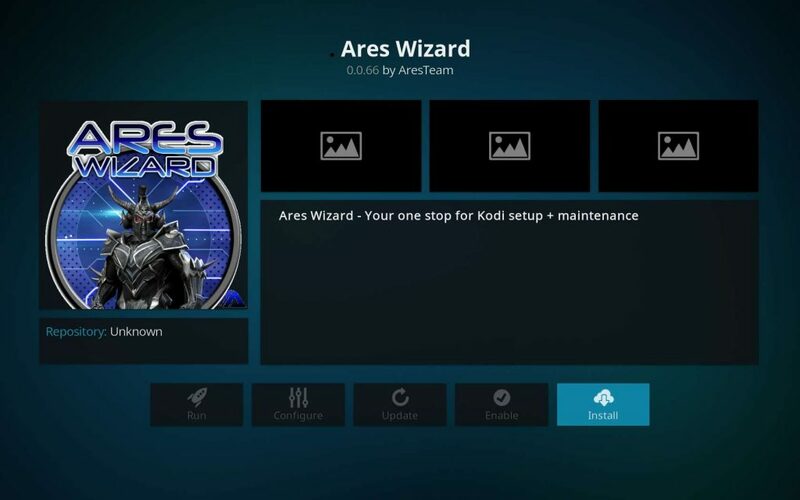 In this article, however, we’ll use the Ares Wizard to install Elysium, as the Ares Wizard offers to install the private Elysium Kodi TV addon repo. 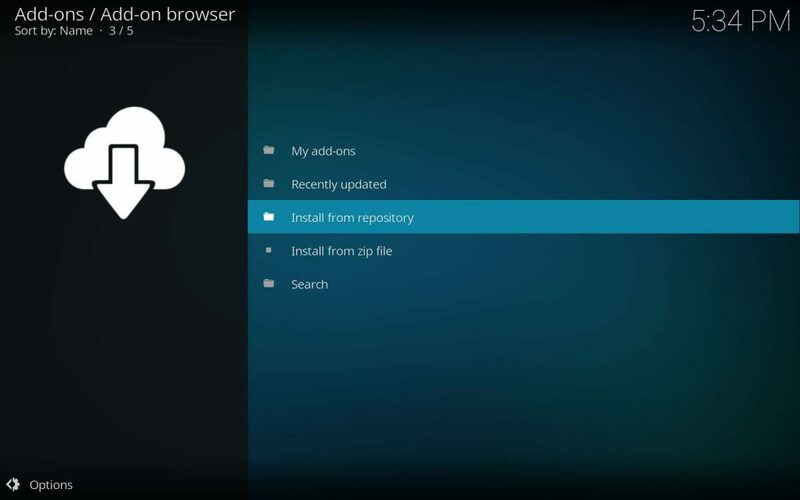 This will ensure you receive the most recent updates immediately upon release. 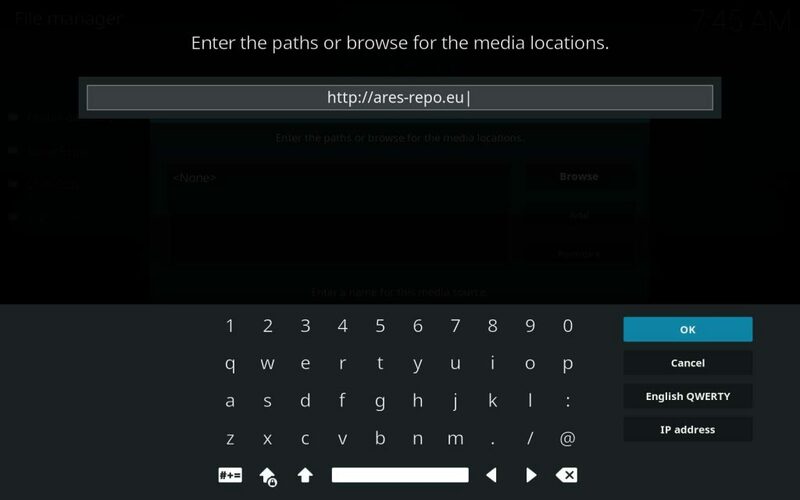 The Ares Project repository is hosted at http://ares-repo.eu. 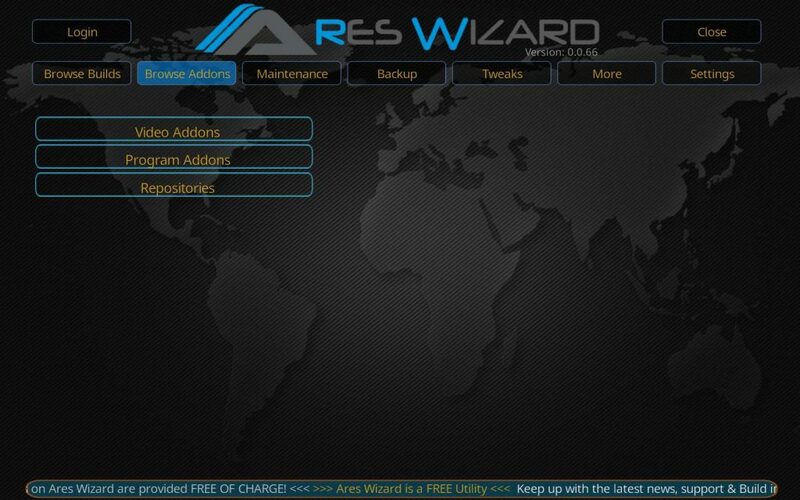 The Ares Wizard is located within the Program add-ons directory of the repo. If you already have the Ares Wizard installed, you can jump straight to the Elysium install section. Enjoy the flight! 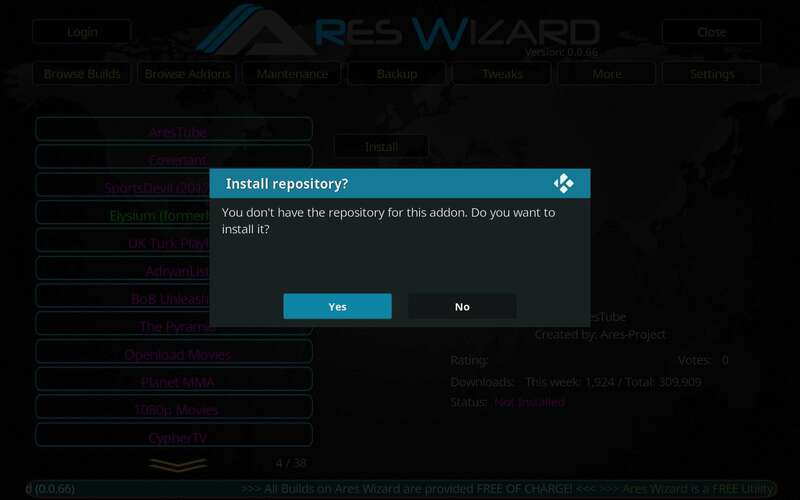 Open it, then the extraction and installation will start. This takes just a few moments. 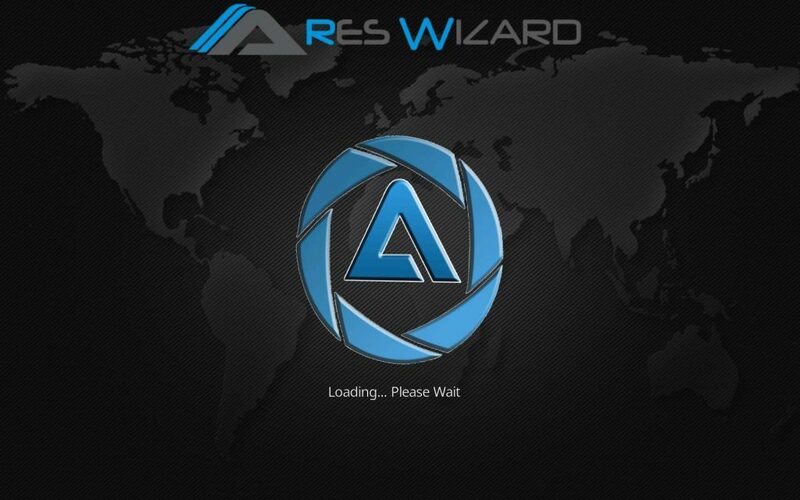 If jumping here because you had the Ares Wizard already installed, then go ahead and start that wizard up. Select the Elysium (formerly Zen) list item. Then, click Install. Don’t worry that the Elysium item in the list loses focus. 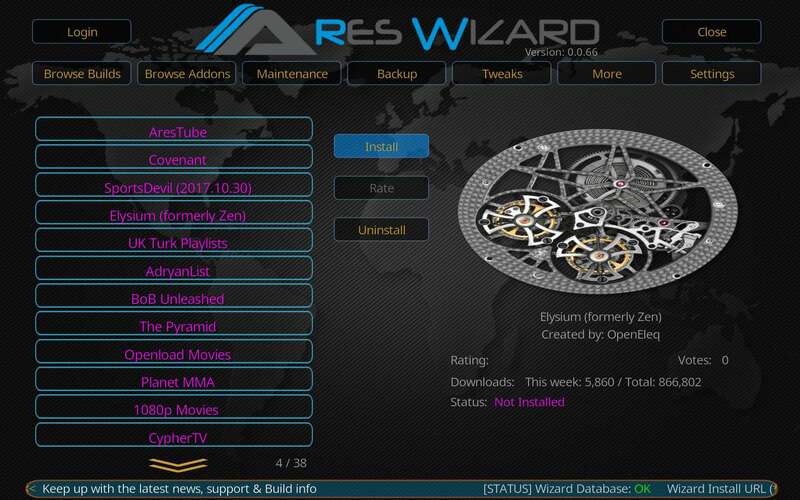 As long as you are on the Install button and still see the Elysium info to the right, all is going well. 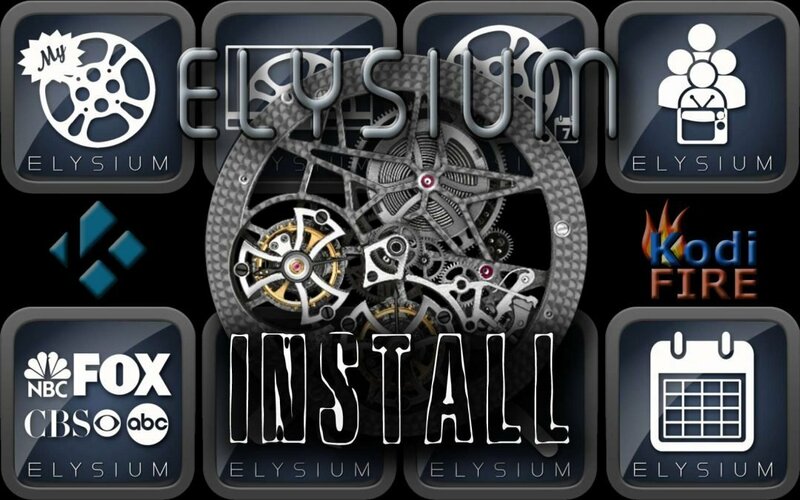 Now, just hang on for a sec while Elysium downloads, extracts, and installs. 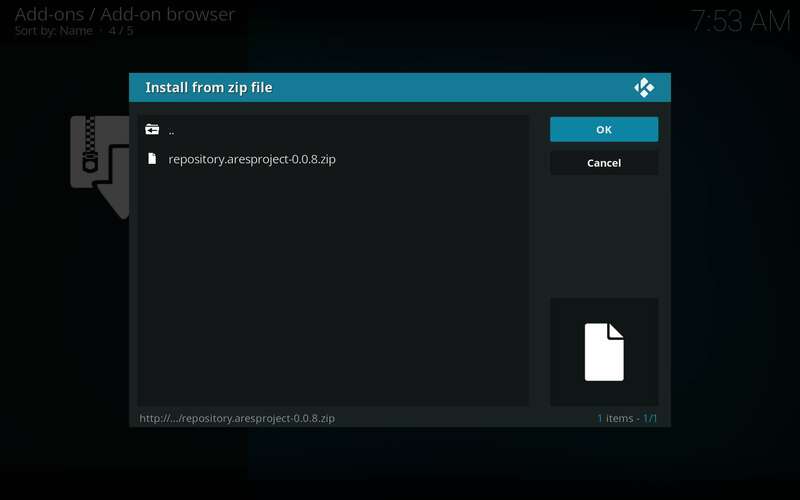 There should be several download, extraction, and installation dialogs popping up while Elysium and its many dependencies are installed. 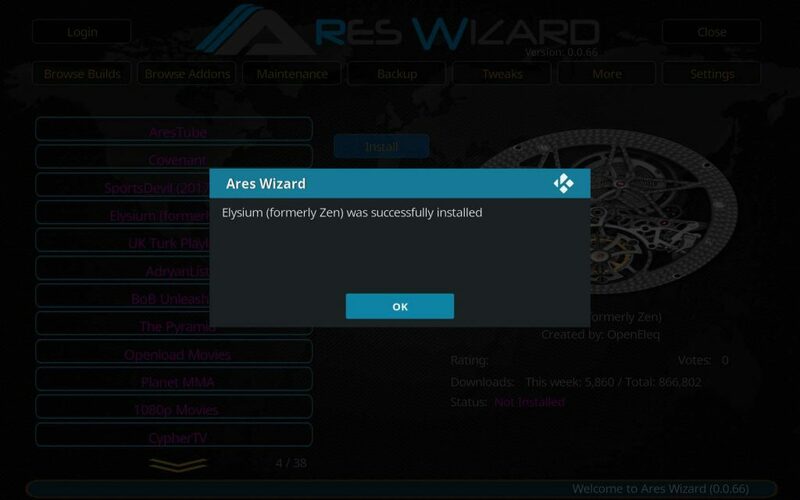 Then, click on OK to exit the pop-up stating Elysium successfully installed. 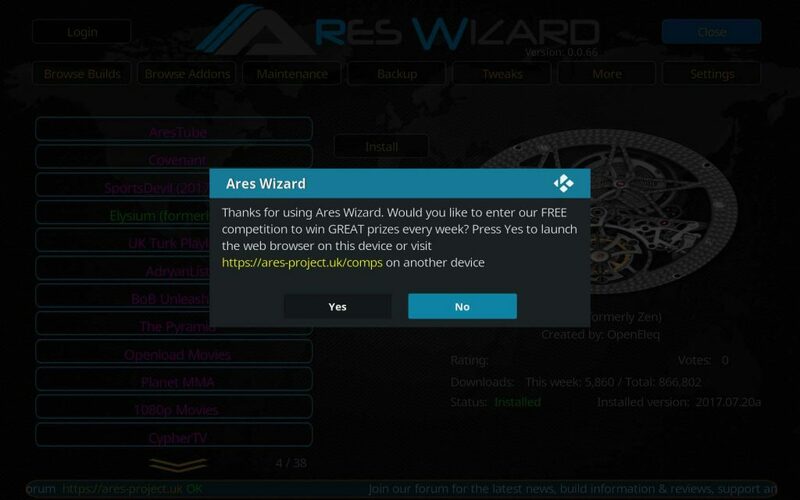 The Ares Wizard Knows What You Need! The Ares Wizard will check to see if you’ve the Elysium Kodi TV addon’s home repo installed, then if not, offer to install it for you. 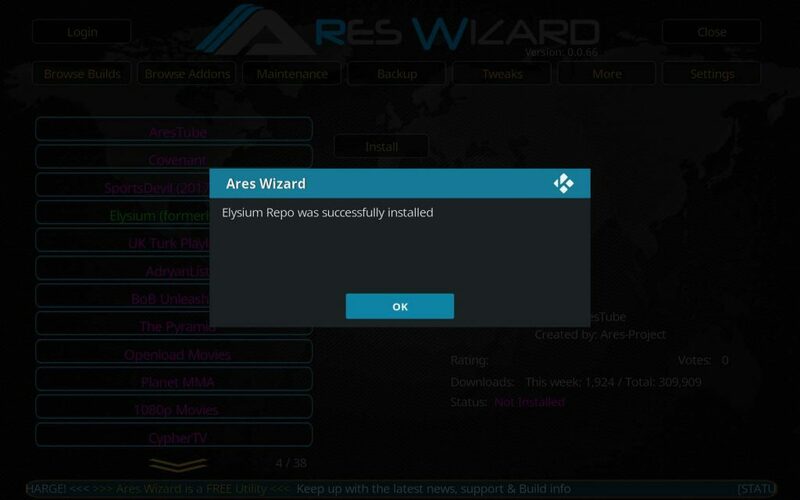 Accept this offer, then rest assured of the latest Elysium updates along with lower chances of broken or missing streams. 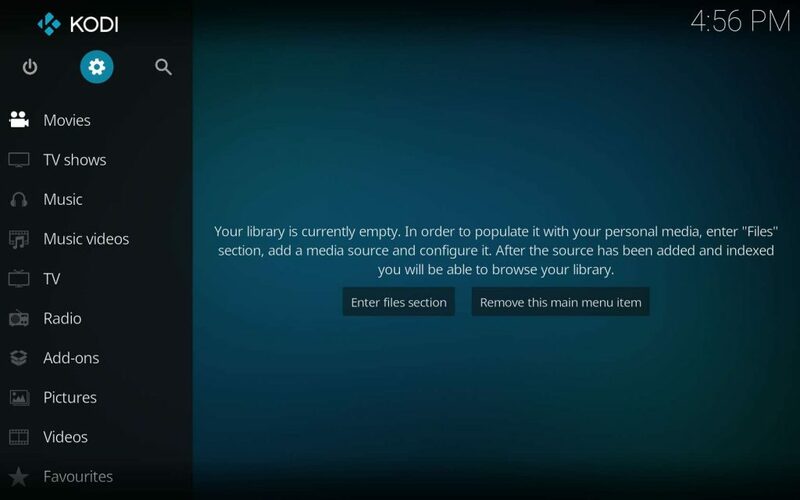 The private Elysium Kodi TV Addon repository installs very quickly. The Elysium Kodi repository installed successfully to keep you in updates as they are made. 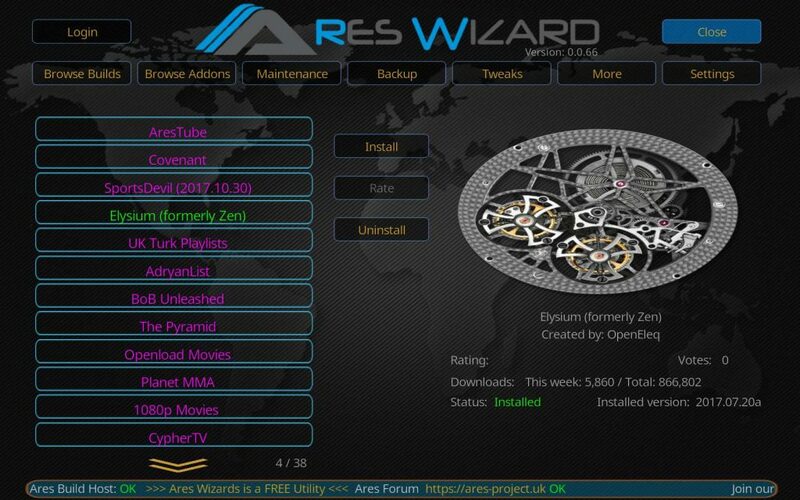 You can close the Ares Wizard now, but note the pretty green color of the Elysium, which means install successful; awaiting your pleasure! 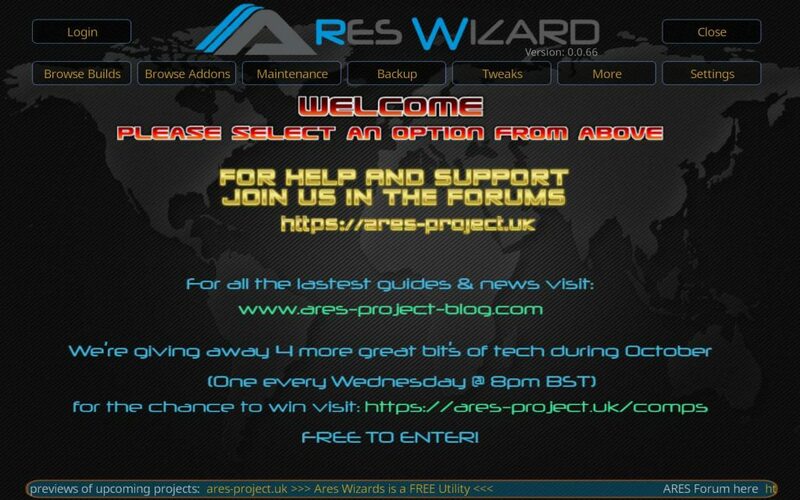 Read and accept or refuse the Ares Project’s offer on the way out of the Ares Wizard. 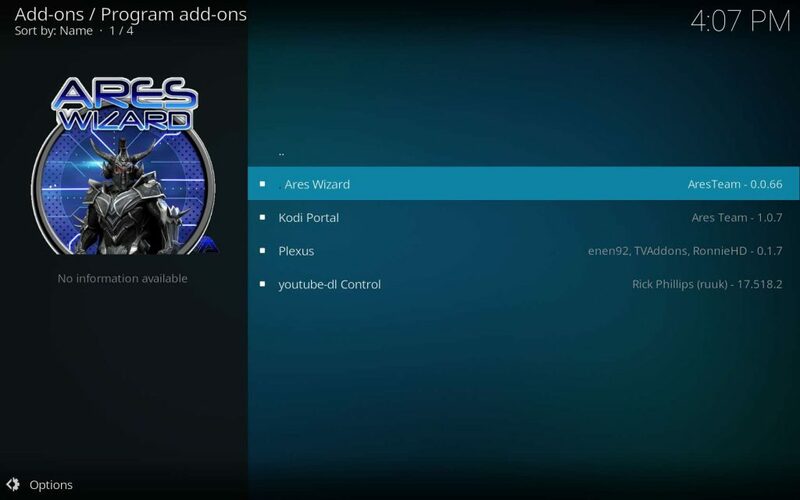 You will now find your spanking new Elysium Kodi TV addon in the Kodi Video add-ons area. You Have Movies. You Have TV Shows. 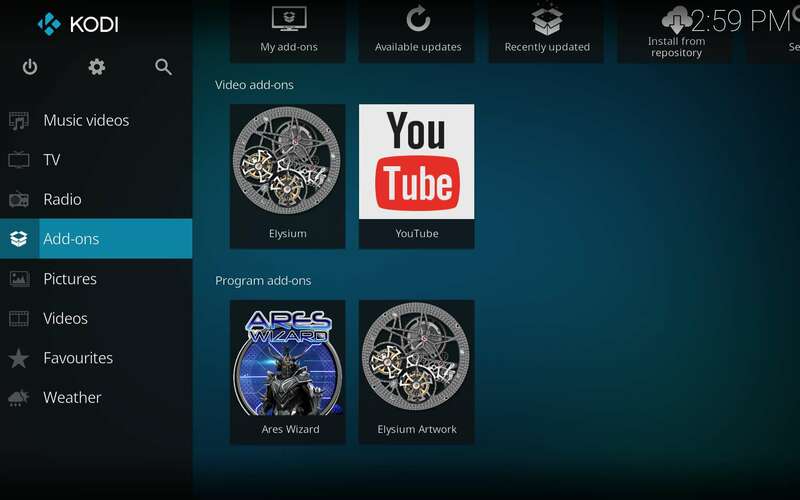 Please don’t forget to take advantage of a VPN when using the Elysium Kodi TV addon. Truly, you should use a VPN to access the internet at all if your privacy or identity are important to you. Too much data gathering and mining goes on these day for me to put my family at risk. Our VPN remains on and protecting us 24/7. Take advantage right now to get a 60% discount on the world’s fastest, most secure VPN! Ready to watch a show? Are you secure? Hot dog! Go get the butter melted for the popcorn and kick back with your new friend—the Elysium Kodi TV addon! 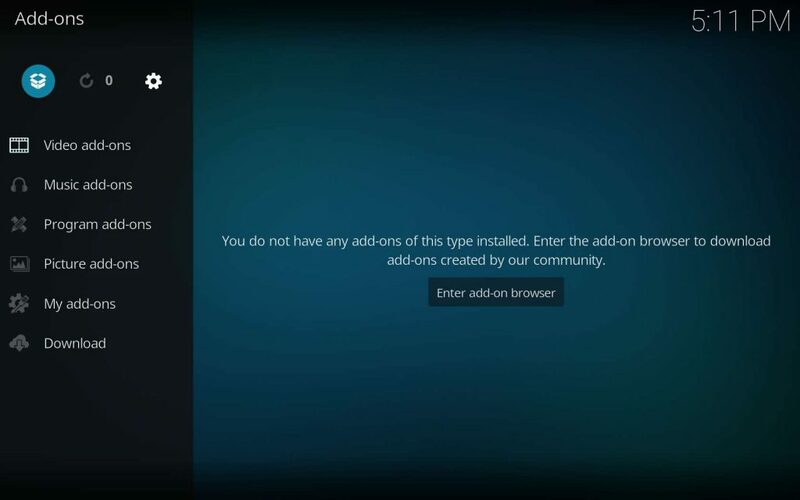 Keep in mind that XBMC / Kodi Foundation support considers the Elysium Kodi TV addon unofficial. 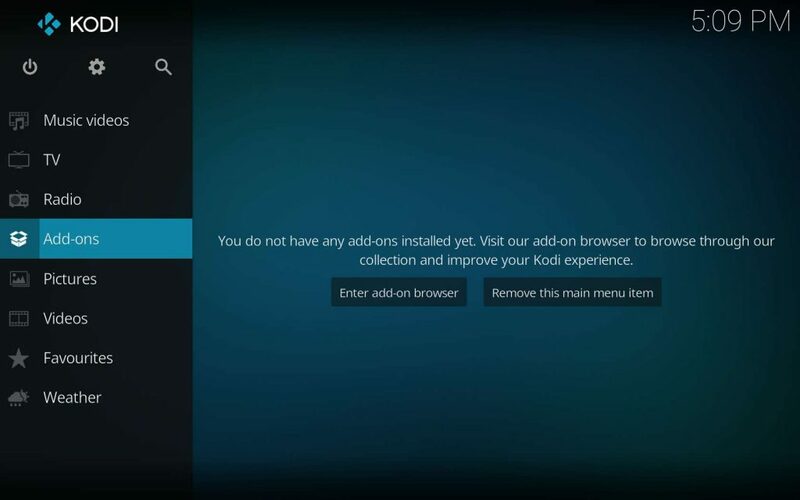 They won’t help with questions concerning unofficial Kodi TV addons. They will likely warn you against online piracy, then ask you to ‘behave.’ Ask any questions you may have in the comments below. We’ll help if we can, then ask you for a cup of coffee to help keep our eyes open! 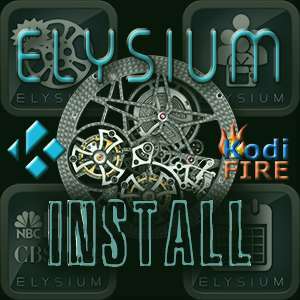 Install Elysium, the rebranded Zen Kodi TV addon with this step by step tutorial for Firestick, Fire TV, Android or other HTPC for full movies and tv shows! The Elysium option isn’t there anymore. Do you have any other suggestions? Thanks for bringing this to our attention. 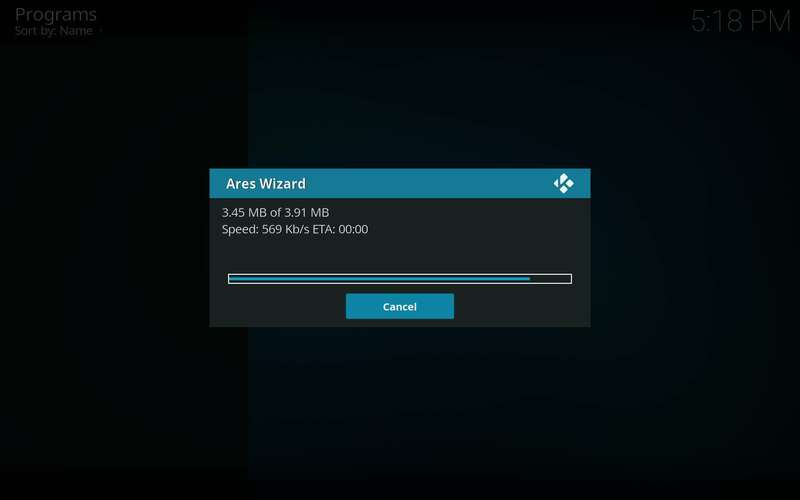 It looks like the Ares Project finally replaced their Wizard with the Ares Portal app for the purposes of video add-on installation. I’ll update the article with the changes involved.